One of our best sellers in London! 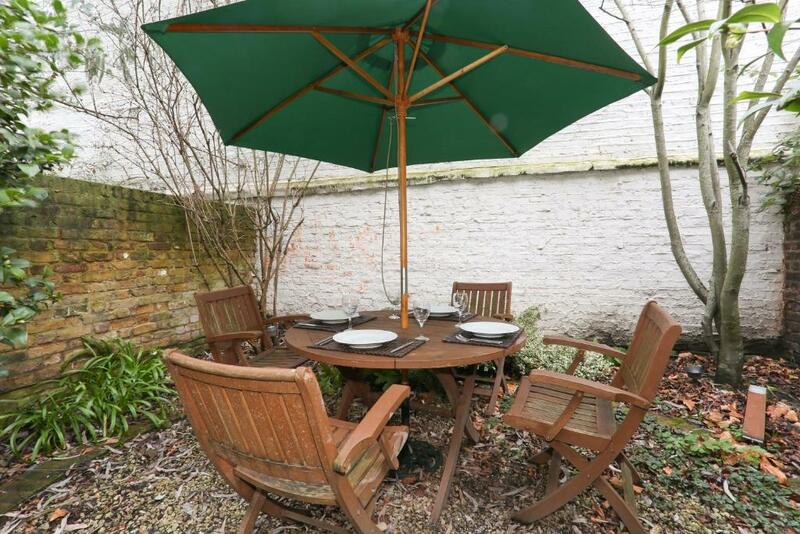 Featuring garden views, A Home To Rent - Chelsea Apartment provides accommodations with a garden, around an 18-minute walk from Stamford Bridge Stadium. This property has free WiFi. The apartment has 2 bedrooms, a flat-screen TV with satellite channels and a fully equipped kitchen that provides guests with a dishwasher, an oven, a washing machine and a microwave. The apartment also has a bathroom with a hot tub, a bath and a shower. Natural History Museum London is one mile from the apartment. London City Airport is 12 miles from the property. 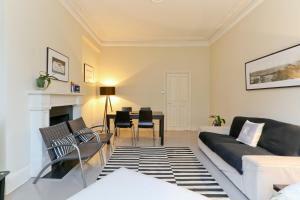 When would you like to stay at A Home To Rent - Chelsea Apartment? 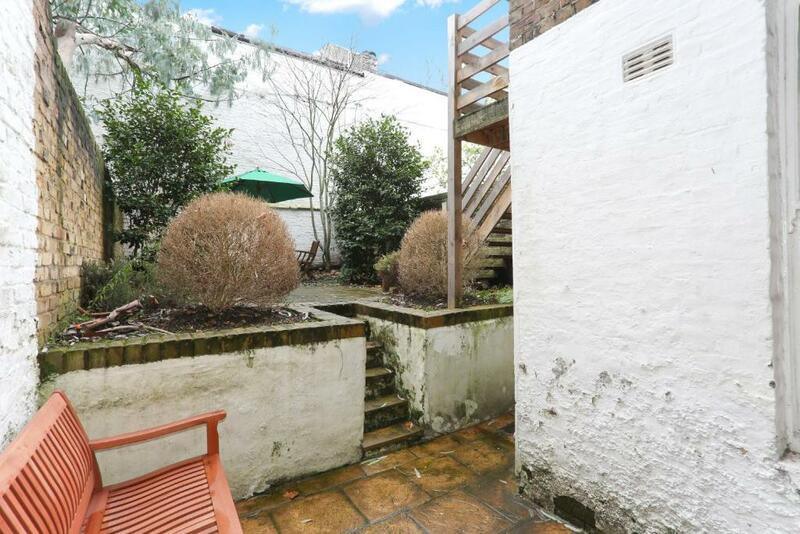 This apartment features a garden, 2 bathrooms, a washing machine and a dryer. 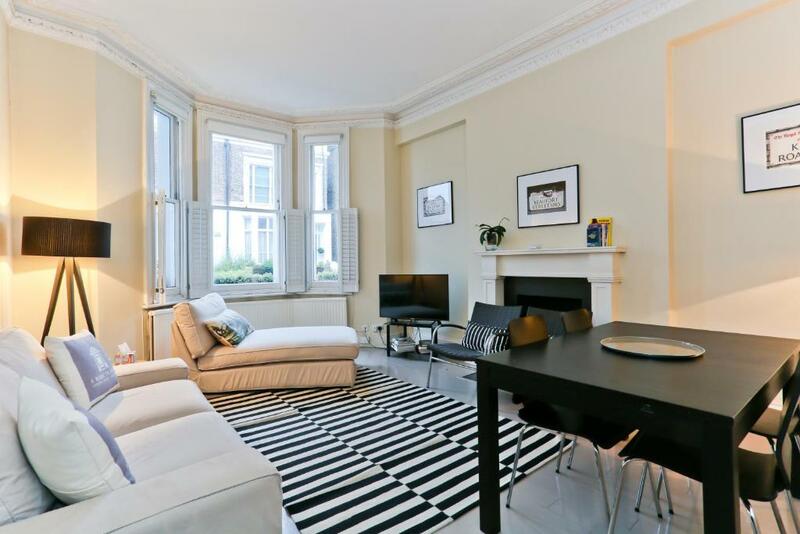 Located on a quiet residential street, you will find your Chelsea Apartment. The highlight of this modern flat is its gorgeous garden with a covered picnic table, perfect for enjoying a glass of wine or dining al fresco with friends. 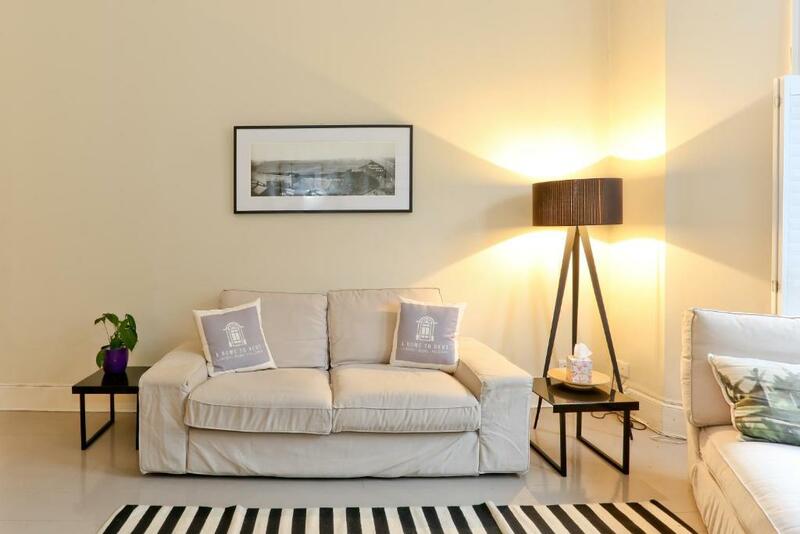 The flat is tastefully decorated in minimalist style, with crisp white bedrooms, marble counter tops and cool stone bathrooms. 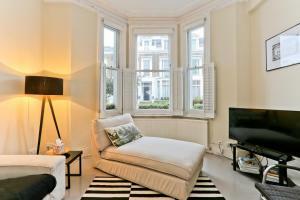 The Chelsea Apartment includes a ground floor master bedroom and second basement bedroom with double bed. The flat has two luxurious bathrooms, one with a shower and one with a shower/bathtub. The fully functional kitchen includes everything you need to cook a tasty meal for friends or family, which you can enjoy outdoors around the picnic table or at the dining table inside. 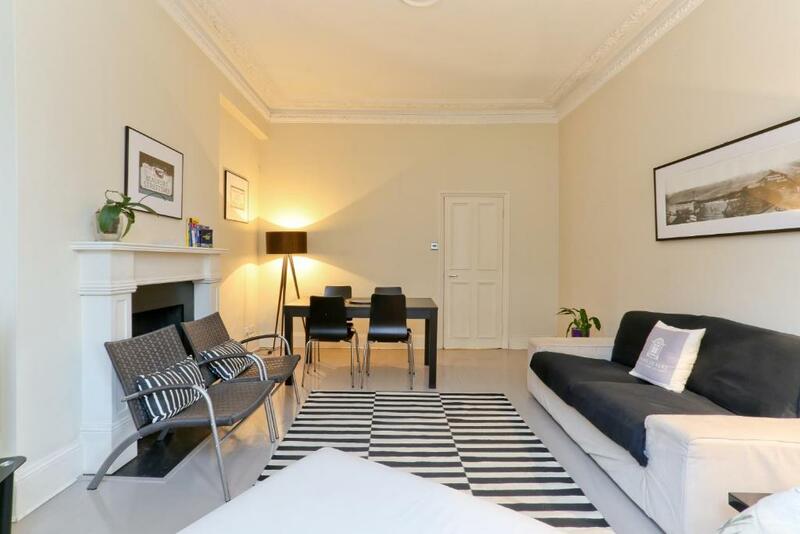 A Home to Rent offer the best selection of London vacation apartments in South West London, from loft apartments in Chelsea and Notting Hill to quiet mews in Belgravia to unique flats in South Kensington. 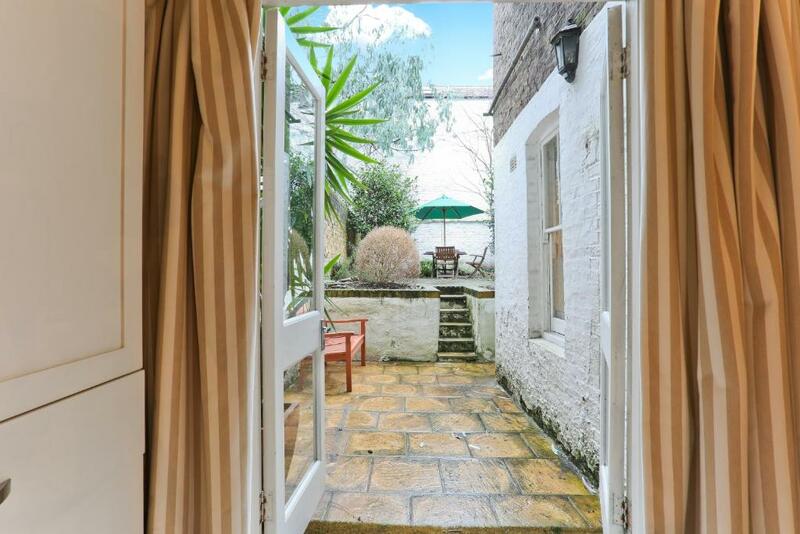 Perfect for business, couples and families with children, whether you prefer short stay or long stay, the home of your dreams is just beyond the door. 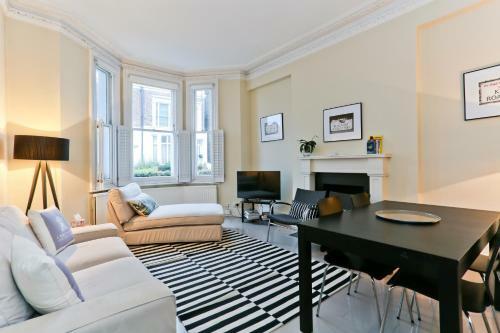 The flat is situated between the two most popular roads in Chelsea: the King’s Road, famous for boutique shopping and exclusive clubs, and the Fulham Road, which hosts a variety of restaurants for all price ranges as well as a collection of Chelsea pubs. 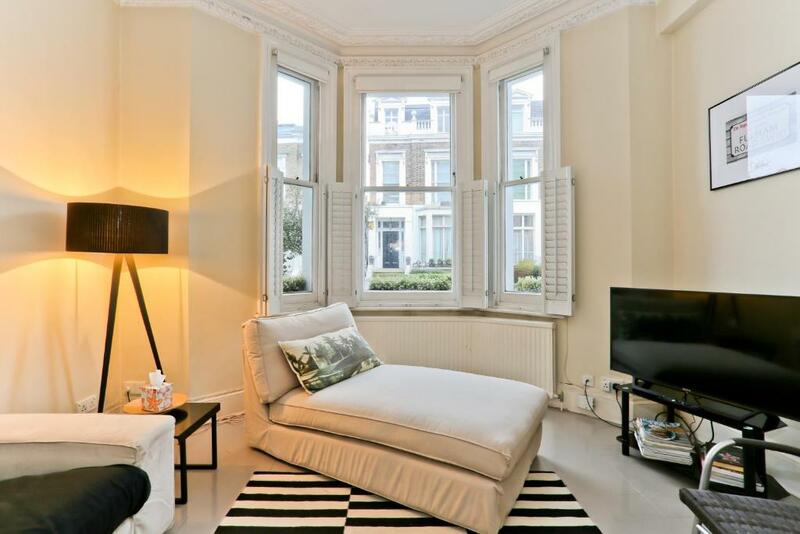 House Rules A Home To Rent - Chelsea Apartment takes special requests – add in the next step! A GBP350 damage deposit is required on arrival (around USD453.44). This deposit will be fully refunded 7 days after check-out, as long as there isn't any damage to the property. Debit card A Home To Rent - Chelsea Apartment accepts these cards and reserves the right to temporarily hold an amount prior to arrival. A Home To Rent - Chelsea Apartment accepts these cards and reserves the right to temporarily hold an amount prior to arrival. This property can accommodate late check-in for an additional cost of GBP 40, subject to prior arrangement. A damage deposit of GBP 350 is required on arrival. That's about 453.44USD. This will be collected by credit card. You should be reimbursed within 7 days of check-out. Your deposit will be refunded in full by credit card, subject to an inspection of the property. Please inform A Home To Rent - Chelsea Apartment of your expected arrival time in advance. You can use the Special Requests box when booking, or contact the property directly using the contact details in your confirmation. We need at least 5 reviews before we can calculate a review score. 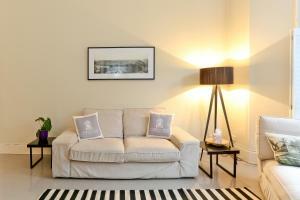 If you book and review your stay, you can help A Home To Rent - Chelsea Apartment meet this goal. One fan in the house which was completely insufficient based on the temperature. Beds were not comfortable. 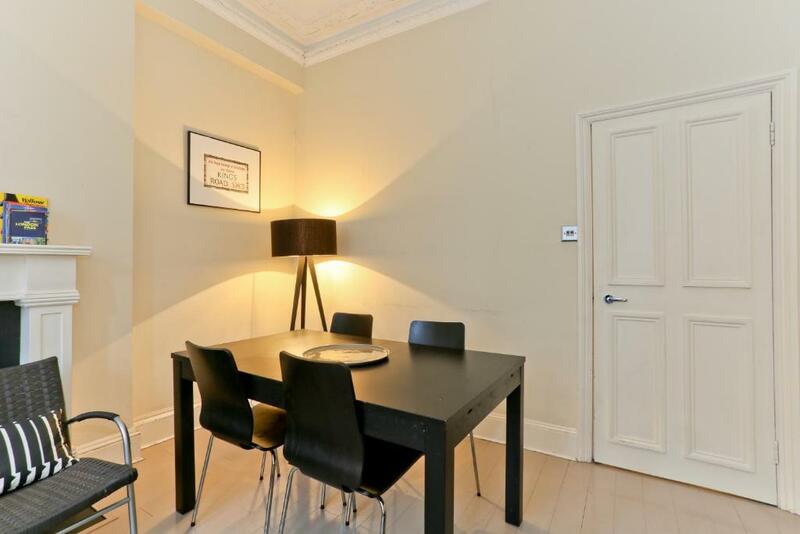 This property is in an excellent location. It has everything you need. Buses almost on your doorstep that take you everywhere. the apartment is so beautiful! its a little gem and is exactly as is in the pictures. the staff are super helpful (we dealt with alessandra) and they explained everything to us so nicely. the kitchen is AWESOME and so fancy and new. the bathrooms are also really clean and nice. Bedrooms are a little small, but overall the apartment is just so cute that it was not a big deal. Its in arguably the best part of chelsea and theres so many amazing restaurants and bars just around this spot. We didnt see a lot of reviews on this property and so I was so scared while booking it since pictures are not always accurate, but here what you see is what you get. I dont recommend more than 4 people stay in this apartment.